What Age to Take Your Dog Out to Socialize? When Can I Take My Puppy Outside? Home PUPPIES	When Can Puppies go Outside? After Vaccinations? At A Certain Age? I recently did some investigation in an effort to find out what is the world’s cutest baby animal. According to one fairly exhaustive list, the otter comes out on top. While there’s no denying they’re adorable, sadly they are neither practical nor legal (in most places) to own as pets. Sorry to be the bearer of sad tidings. Naturally, as an owner of one of Earth’s most beloved animals, you want nothing more than to show off your precious pup to anyone and everyone. Which begs the question: when is it ok to take your puppy out to socialize? Puppies and Disease: Can a Puppy go Outside Without Vaccinations? Are Puppy Classes Safe Before Vaccinations? Possibly you’re thinking this is a question that doesn’t need to be asked: a dog is an animal, and animals are quite at home outdoors. 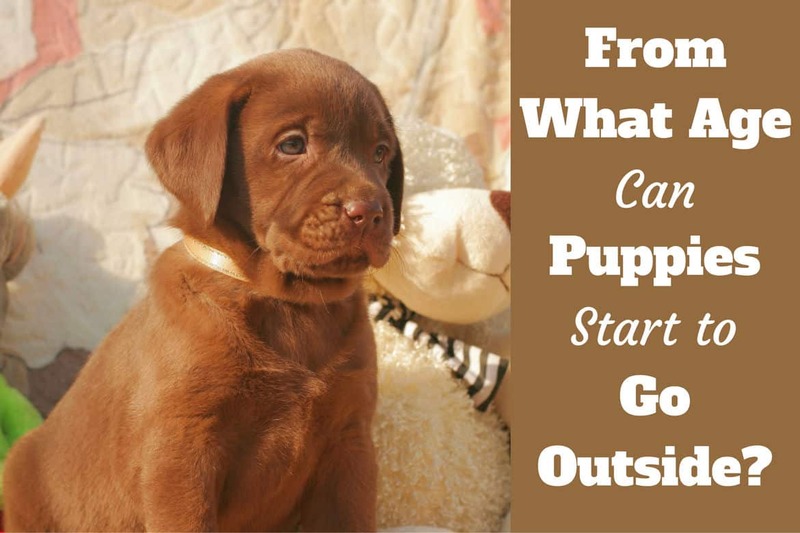 While this is true to an extent, the outdoors is not always an hospitable place for a new puppy. Assuming your puppy has been acquired from a breeder or other reliable source, your new pup should already be weaned. When a puppy is weaned, it no longer relies on mother’s milk for nourishment and isn’t taking in the antibodies the milk provides. These antibodies offer some protection to the puppies as their immune systems begin to develop. This process usually begins around 3-4 weeks of age and may continue until the puppies are 8 weeks old or so. When a puppy is weaned, it no longer relies on mother’s milk for nourishment and isn’t taking in the antibodies the milk provides. These antibodies offer some protection to the puppies as their immune systems begin to develop. This process usually begins around 3-4 weeks of age and may continue until the puppies are 8 weeks old or so. Most puppies go to new homes somewhere during the 7-8 week mark. The problem now is your puppy is old enough to be weaned, but not old enough for its vaccinations, leaving it vulnerable to all manner of doggie disease. 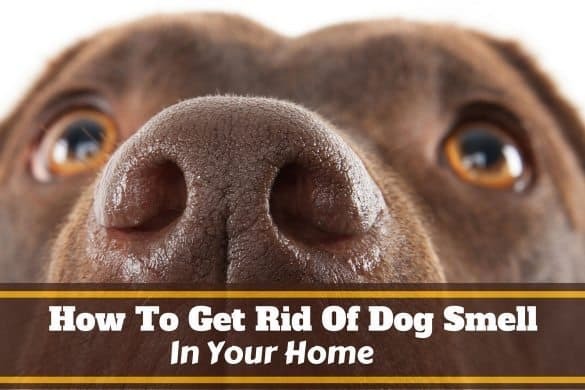 Any place with dogs around (or certain wild animals, such as foxes and coyotes) is a flashpoint for dog germs, and these can wreak havoc on a new puppy. Before they’ve had their vaccinations, puppies are highly susceptible to a great many dangerous diseases. Examples include canine parvovirus, adenovirus, distemper, rabies, and kennel cough. Vaccinations will prevent your older puppy from contracting these illnesses, but until it’s had them, it’s at risk. Any of these conditions can be fatal in a puppy. Unfortunately, many diseases are spread via feces of infected animals or parasites that can live off-host. This means that avoiding other dogs and animals may not be enough to protect your puppy. Simply going where infected animals have been can be all it takes to contract an illness. Puppies need to socialize in order to become good, friendly dogs. Socializing means meeting new people and taking in new experiences. A puppy feels safe with its owner, so the more sights and sounds a puppy is exposed to with its owner, the better adjusted it will be. Around the age of 8 to 10 weeks, puppies naturally transition from being very curious about everything, to being more cautious about things they’re not used to. This is nature protecting them from potential dangers in the wild. Of course a domestic puppy has little to fear in terms of predators, so this natural trait ends up being a drawback; anything it’s not used to by the age of 10 weeks is going to make it nervous, or even fearful. What you don’t want is to have an inadequately socialized young dog that is only certain around its own family. 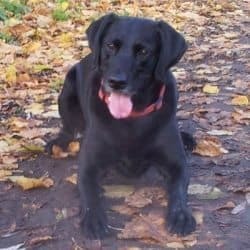 Even a naturally outgoing breed like a Labrador will be either overly reserved, or possibly (and much worse) aggressive towards anyone or anything it doesn’t know. Since vaccinations aren’t generally complete before 16 weeks but most puppies are brought home earlier than 8 weeks old, what’s the solution? 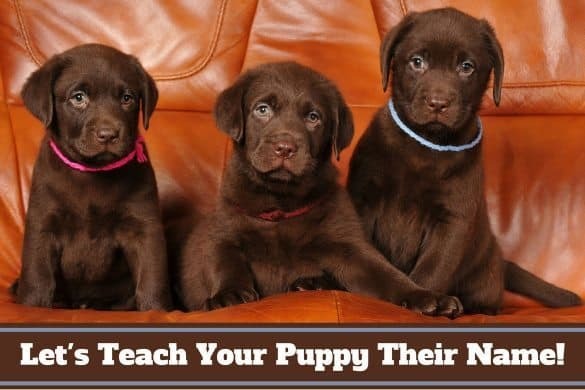 Click here for a more in-depth guide on how to socialize your Labrador puppy. Your home is the safest place for your puppy during its early development, and it’s the ideal place to begin getting used to every day sights and sounds. 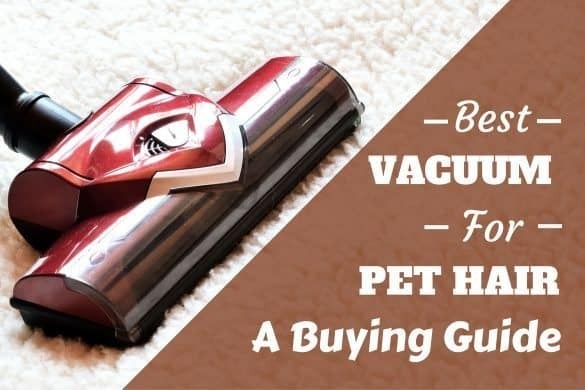 Have the puppy with you when you vacuum, run appliances and watch television so it learns these things are all safe. Watch people pass by from your doorstep, and if someone comes to your door, have puppy with you to greet them. It’s also a great idea to set up home visits with your puppy. Have friends and family come and spend time with your puppy (but only if you know they’re going to be calm and gentle with the pup) so they learn to be comfortable around new people. If possible, choose a variety of people to visit your puppy. By this I mean mix it up a bit; invite a senior citizen, someone with facial hair, people of varying ethnicities, someone with mobility aids, etc. Try and gather a group of people together at your home and play some games with your puppy. Remind everyone to be friendly and gentle, and provide kibble to all your guests. They can reward the puppy for coming over to visit, or for allowing themselves to be picked up and cuddled. This will teach the puppy that strangers are ok to approach. Just as puppies need to learn to socialize with people, they also have to become comfortable with other dogs. You can do in-home socializing with dogs, just as you did with people. Monitor all interactions between your puppy and a visiting dog, as it’s important to the safety of your puppy to limit any roughhousing. A little play is ok, of course! What you want is for your puppy to learn that other dogs can be friends, too. Of course once your puppy has had its full course of vaccinations, you’re free to explore the wide-open spaces of nature. But is it a good or practical idea to keep your puppy indoors for up to 16 weeks? If you’re not fortunate enough to have a wide circle of friends and family to help you prep your pup for life, you’re going to have to do something to get your dog socialized. What are your options? A great way to introduce your puppy to the world and yet keep it relatively safe from disease is to simply avoid putting it on the ground. Carrying your puppy from place to place allows it to see the world firsthand, but avoid direct contact with anything. Being in your arms also serves to strengthen your bond with the puppy. If you have difficulty carrying your puppy due to either its size or your own physical limitations, you might consider using a stroller. Ask a friend if you can borrow one, if you don’t have one yourself. Line it with a comfy blanket from home, perhaps cover it with mosquito netting or a sun shade, and go for a stroll! Most Lab owners probably have a backyard of their own, Labradors being a bit large for an apartment. If your neighborhood is relatively free of other dogs, and you don’t back on to a forest or other natural environment, your yard may be just fine for short expeditions. Stick to sunny areas of the yard, as many parasites prefer to stay in the shade. You may also wish to stay away from the fence, as this is where you’re most likely to find wild animals have left their various deposits as they make their way across fence tops, or tunnel their way in and out of your yard. Keep backyard visits brief, and perhaps try a bit of leash training while you’re out there. Using a leash will not only get a pup used to a collar and a lead, it will also allow you to control where it goes in the yard. The question of whether or not puppies should be taken to obedience classes has caused a lot of debate in the dog care community. Well-meaning owners and professionals have weighed in on both sides of the debate. So what’s the right decision? Everyone agrees that obedience training is essential to having a well-behaved dog, and that it’s good to start training early.  A Lab is a very bright dog and is easily trained. Simple commands like “sit” and “stay” are readily mastered, and it is possible to teach commands like these at home. However, there are great benefits to be realized from socializing with other puppies in a controlled environment. Also, using a professional trainer is a great idea, especially if you’ve never owned or trained a puppy before. Most dog-to-dog disease transmission happens through contact with infected feces. Accidents in puppy class are cleaned up promptly, greatly reducing the risk of transmission. Waiting to begin obedience training after all vaccinations are complete may mean 16 weeks without professional assistance or meeting other puppies. It is the opinion of all of us here at Labrador Training HQ that the plusses of puppy training classes far outweigh the potential negatives. 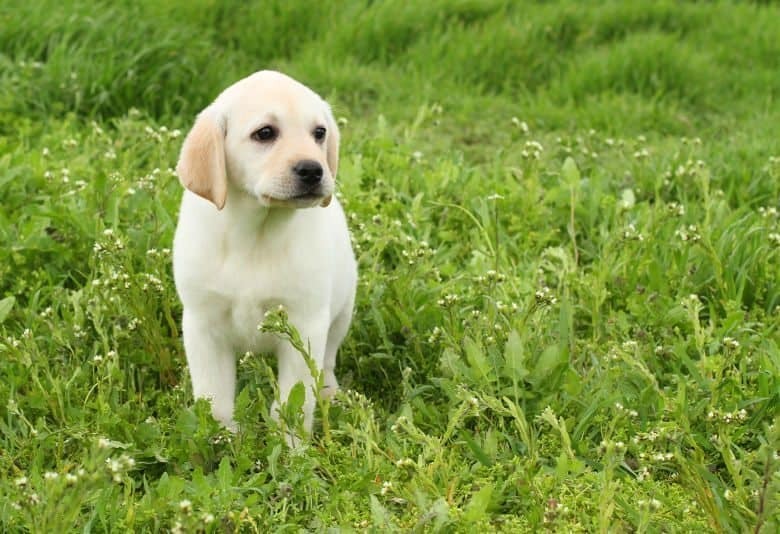 We absolutely endorse puppy classes whether your little Lab has had some vaccination or even if no shots have been administered yet. The signs of a stressed or frightened dog are generally obvious: tucked tail, flattened ears, whimpering/whining, cowering, etc. If your puppy is reacting this way to any socialization or new experience, don’t try and push through thinking it will “get used to it.” Comfort your puppy and remove them from the situation as expediently as possible. Start small and build on past experiences. For example, don’t start socializing with other dogs at a dog park where dogs are running hither and yon. Rather, invite a single dog over to your home, or go for a walk where you know you might only meet a dog or two. Another example: explore a few quiet neighborhoods with a smattering of cars before strolling down a busy main street. 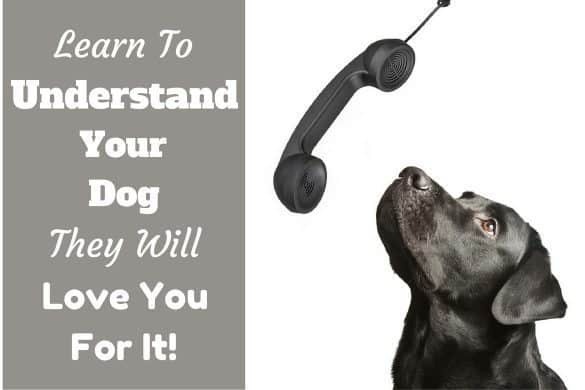 Your puppy can only handle so much sensory input before it becomes too much to handle. Don’t try introducing too many new things in a day. Limit yourself to maybe 2 or 3 new experiences a day, and remember to repeat these experiences to reinforce them as positive and make your puppy more comfortable with them. One of the least advisable courses of action for puppy socialization is the “sink-or-swim” method. You can’t just toss a puppy into a room of strangers or a pack of dogs and walk away. Your puppy does want to explore, but it also wants and needs you there for reassurance. Keeping close by your puppy will also allow you to monitor its interactions with people and animals. It’s important to make sure play isn’t getting too rough, and that negative behaviors, like biting and barking, are being discouraged. The puppy stage passes very quickly, and you’ll soon wonder who replaced your tiny explorer with a great big bundle of energy and love. Try and get as much out of this time as you can! 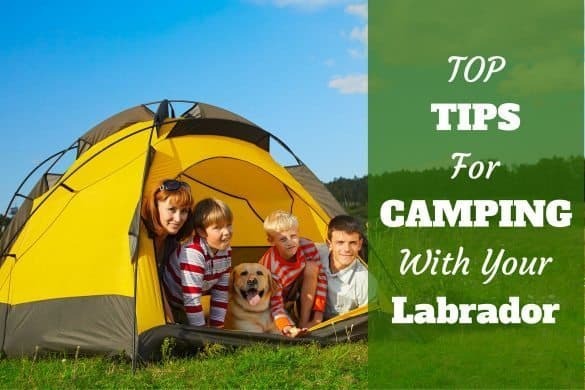 Though Labradors are known for being very friendly dogs, your puppy is counting on you to teach it how to interact properly and sociably with the world. Embrace the opportunity and have fun with your little guy or girl. A few weeks of effort now will give you both years of pleasure. I dont have a lab, but I do have a rescued (meaning, showed up on our doorstep and couldnt turn her away, rescued) German Shephard/Husky mix about 10 weeks old. She got her first round of vaccines last week, and the vet said not to let her feet touch outside our house for 2 weeks. We want to start training and socializing her, since she is a little older, why would he say she cant even go in the back yard for 2 weeks??? It would be best to ask your vet as it’s unfair for anyone else (particularly if not a professional and not knowing all circumstances) to second guess them. 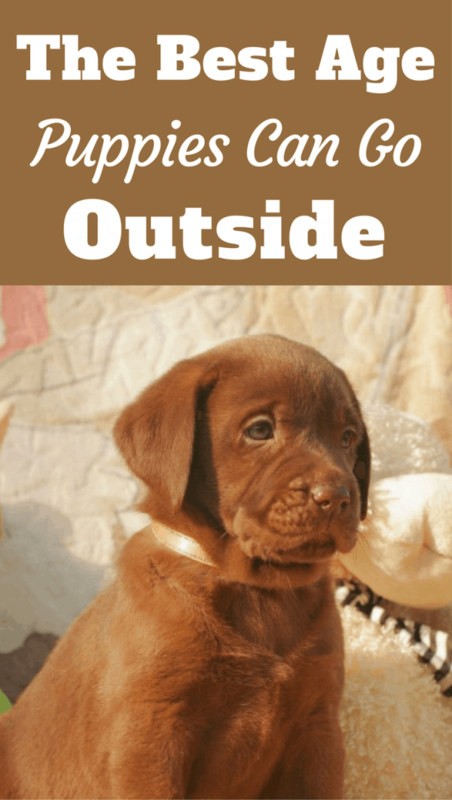 Very useful information on this article i really like it specially”When Can Puppies go Outside? After Vaccinations? At A Certain Age”each and every step of procedure is very easy. 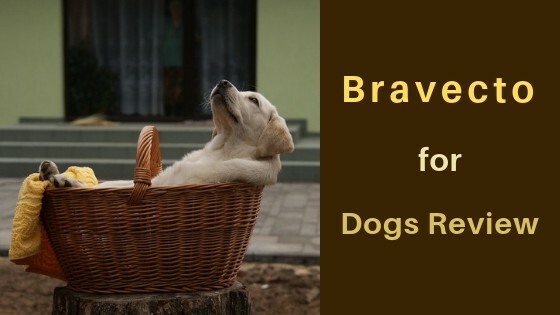 Pet adoption services, dog breeds (2018 updated), find latest about dog breed, dog names, search 8000+ adoptable pets, 250+ dog breeds, dog training & toys.